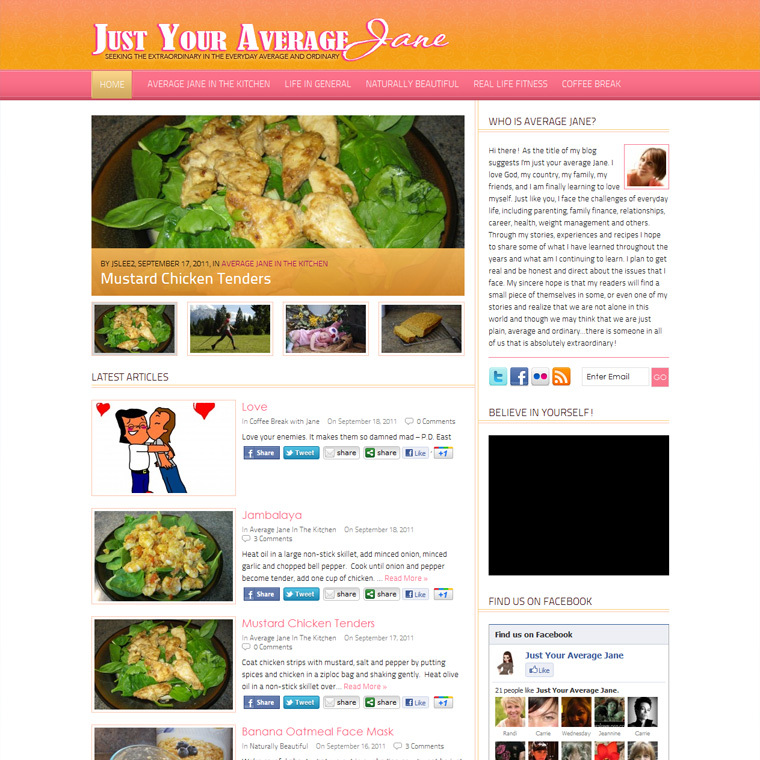 I had great fun working on my most recent blog design project. This is a colorful, light, magazine style blog perfect for social media sharing, video embedding and featured image display. Click Here To See The Live Site.